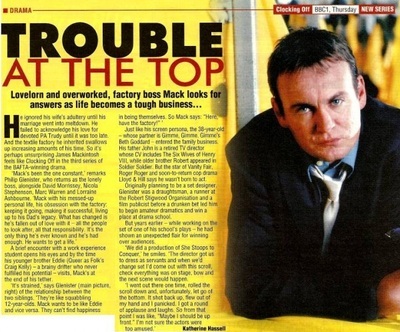 A collection of articles and reviews for BBC One's Clocking Off, in which Philip played factory owner James 'Mack' MacIntosh. Click on the links below to read each article. 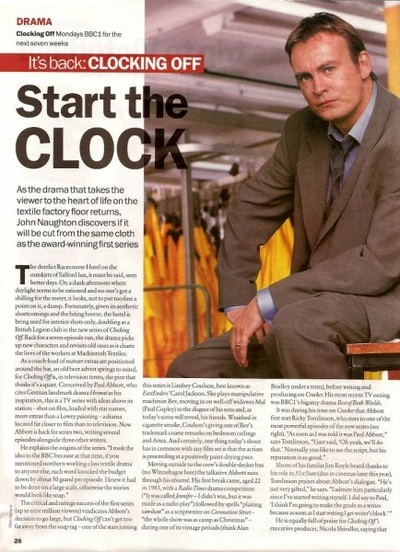 Clocking Off star Philip Glenister is moving on once the latest series of the award-winning drama ends. 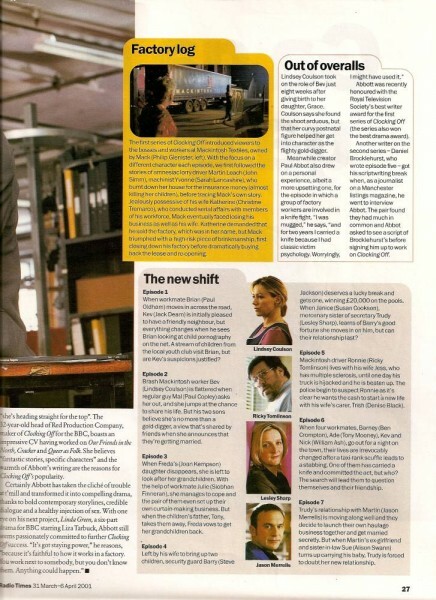 Phil Gould finds out why. Paul Abbott's award winning drama revolving around the staff at Mackintosh textiles returns to BBC One for a third series.